[toc]Stomach Ulcers also commonly known as Peptic Ulcers or gastric ulcers. They are basically small,open and painful sores or ulcers lining the mucosal lining of the stomach or initial part of small intestine. Ulcers in the stomach are mainly caused due to H.pylori bacterial infection, over use of NSAID painkillers and production and accumulation of excess acid in the stomach. Stomach ulcers are mainly caused when the mucosal lining of the stomach gets corroded due to excess stomach acid and the underlying tissue is exposed.A person suffering form stomach ulcer, may or may not exhibit symptoms. 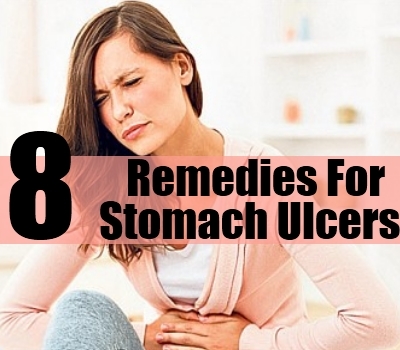 However, some common symptoms which people suffering from stomach Ulcers complain of are- heartburn, vomiting, nausea, severe burning pain in the stomach between meals or during night time and bloating. Sometimes, these stomach ulcers may even bleed internally and may prove to be life threatening. People of all age group can be affected with Stomach ulcers, including children.However, it is more commonly observed in people above 60 yrs of age. Below mentioned are some very important herbs which are very effective in treating and preventing formation of Ulcers in the stomach. 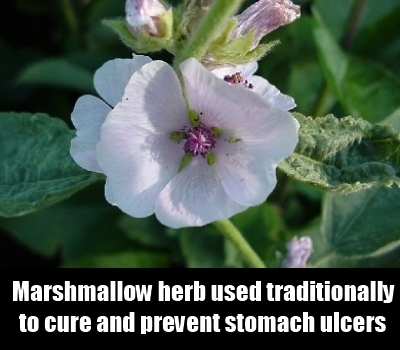 Marshmallow is one of the very popular herb used traditionally to cure and prevent stomach ulcers. Marshmallow contains chemical components known as tannins, which help in treating stomach ulcers. Marshmallow is also a very good source of mucilage, which acts like a protective covering for the stomach and the throat membranes. This helps in soothing and calming the stomach membranes and prevents the formation of ulcers. Marshmallow is also renowned for its anti-inflammatory properties which help in reducing the inflammation caused by ulcers, thereby reducing the irritation of stomach mucosal membrane. Marshmallow can be consumed in form of herbal tea, capsules, tincture etc. 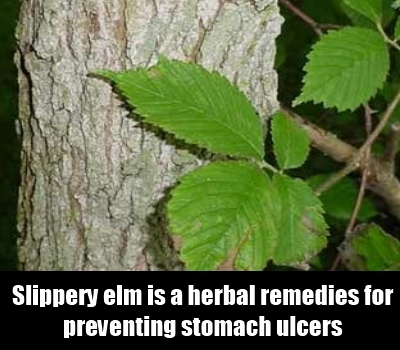 Slippery elm is one of the best herbal remedies for curing and preventing stomach Ulcers. Slippery elm is rich in mucilage, which forms a slippery protective coating on the mucous membrane lining of the stomach and throat. This helps in preventing the corrosion of the mucous membrane lining of the stomach from gastric juice, thereby preventing formation of ulcers. Slippery elm is also very famous for its astringent properties which helps in providing a soothing and cooling effect to the stomach lining. A herbal tea made using the bark of slipper elm is especially very useful form preventing ulcers. Comfrey has been used since ancient times to heal and prevent the formation of stomach Ulcers. Comfrey is famous for its astringent properties, which help in providing a cooling and soothing effect to the skin ulcerations, wounds and cuts. The tannins present in the Comfrey, helps in forming a protective covering over the stomach ulcers and stimulate them to heal faster. Another very important component of Comfrey is mucilage, which helps in forming a protective coating on the mucosal lining of the stomach and throat. This helps in preventing the corrosion of the mucosal membrane and formation of ulcers. 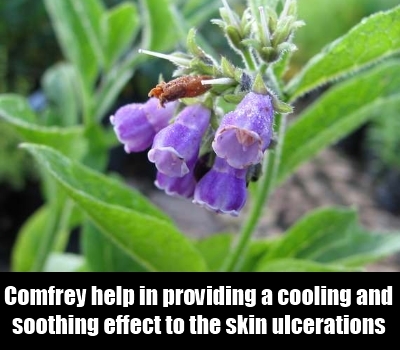 Comfrey is useful in both internal stomach ulcers and external skin ulcerations. It can be used in form of creams, gels, lotions, tincture, tonic, herbal tea etc. 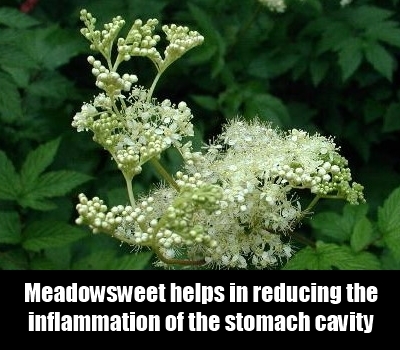 Meadowsweet is yet another very effective herbal remedy for the treatment of stomach ulcers. Meadowsweet is naturally found antacid, which helps in reducing the inflammation of the lining of the stomach cavity, thus preventing formation of Ulcers. Meadowsweet has astringent properties, which help in providing a soothing and calming effect to the inflamed mucosal lining of the stomach. Salicylic acid, is another very important chemical found in the flowers of Meadowsweet, which acts like natural aspirin. This helps in providing relief from pain and burning sensation associated with ulcers of the stomach. Meadowsweet is best effective when consumed in form of herbal tea. However, capsules and tincture of Meadowsweet are also available. Peppermint is very effective and beneficial herbal remedy for providing relief in cases of people suffering from stomach Ulcers. Peppermint is a naturally found antacid, which provides a cooling and soothing effect to the inflamed mucosal lining of the stomach. Peppermint is also very effective in preventing the gas formation and indigestion in the body, which is one of the main caused of Ulcer formation. 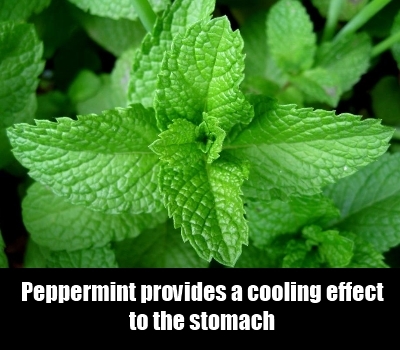 Peppermint is also an anti-spasmodic herb and helps in curbing nausea associated with indigestion after heavy meals. Peppermint can be consumed in form of capsules,herbal tea, tonic etc. 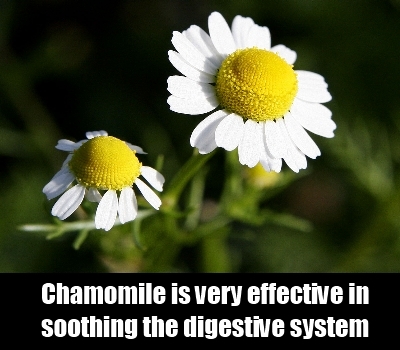 Chamomile has been used traditionally as a very useful herbal remedy to provide relief against stomach Ulcers. Chamomile is very effective in soothing the digestive system. This herb helps in reducing the inflammation of the stomach lining caused due to corrosion by excess stomach acid. Chamomile is also very effective in reducing stress and anxiety, which are the two main culprits of indigestion leading to ulcer formation. It has sedative properties which calm the body and provide instant relief in case of Ulcers. Consumption of Chamomile herbal tea helps in providing relief from ulcer symptoms within a very short time. Bilberry is yet another very good herbal remedy used since ancient times to provide relief from Stomach Ulcers. 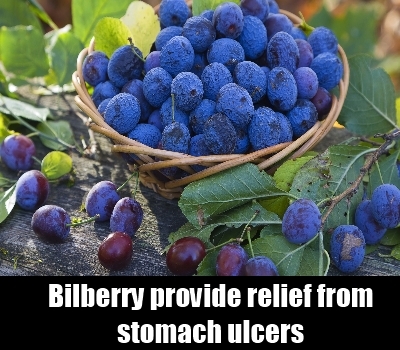 Bilberry is famous for its anti-inflammatory property, which helps in protecting the corrosion of mucosal lining in the stomach from excess bile juice. Bilberry is also rich in antiseptic properties, which encourage the healing of stomach ulcers and mouth sores naturally. It is recommended to take bilberry only in consultation with a good herbalist because if taken in excess it may negatively impact the digestive system. Bilberry is available in form of capsules and tincture. One can also consume bilberry berries fresh for maximum benefit. 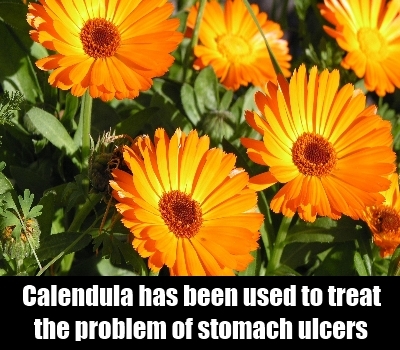 Calendula has been used effectively since centuries to treat the problem of stomach ulcers. Calendula is very useful in preventing the inflammation of the mucosal lining of the stomach and also helps in controlling the swelling associated with hormonal changes. Calendula also has anti-bacterial properties, which help in fighting against the bacteria and germs which are responsible for causing infection in case of stomach Ulcers. Calendula tea is especially very effective in treating stomach Ulcers.